The following antique items are just a very small sample of what we have for sale. Some of the antiques and collectibles that appear in the pictures of Home Page are also available for sale. We will soon add more items and update very often. Please do n0t hesitate to email us and ask us any questions about any item you like. Also note that some of the items for sale below are also photographed as they are currently displayed with other decorative items. 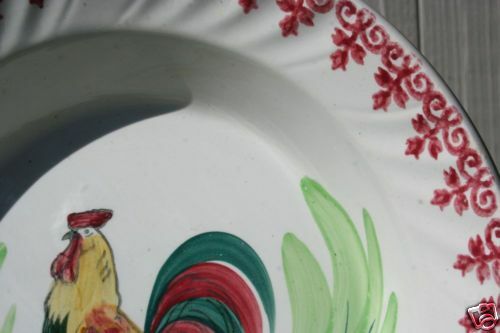 An antique pair of very rare 19th century spongeware plates with lovebirds in the middle. Perfect condition. Size:25,5cm. The price is for the pair. An extremely beautiful plate. Christmas decoration! Very good condition, free of chips or cracks! 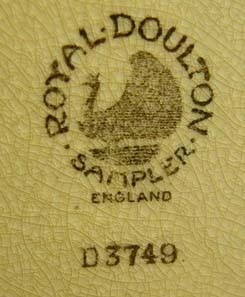 A fine example of Scottish spongeware. Very good condition, free of chips or cracks! 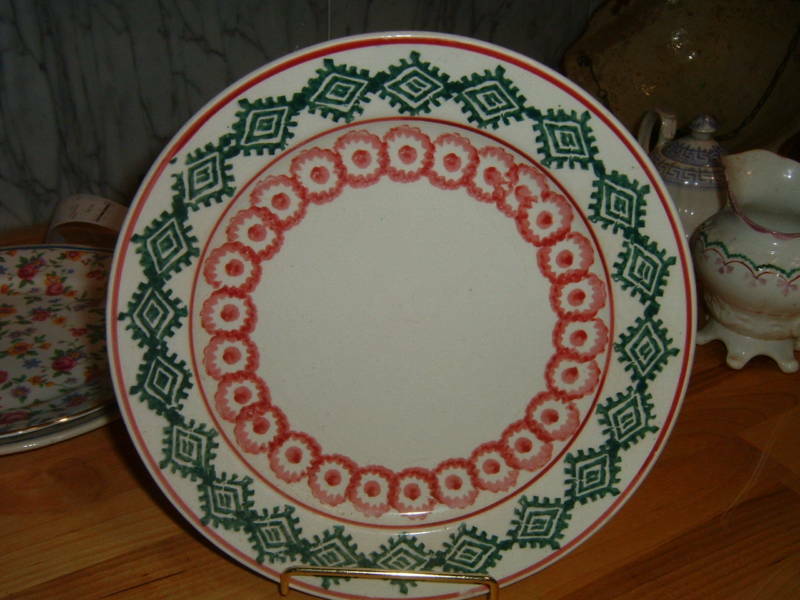 19th century Scottish spongeware plate. Very good condition, no chips or cracks. 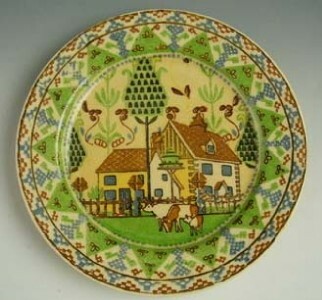 19th century scotish spongeware plate. Very good condition, no chips or cracks. Very pretty! 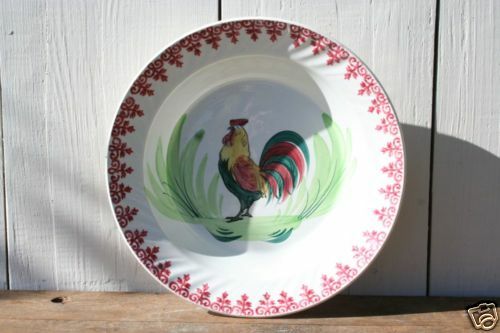 This is a beautiful and rare french rooster plate in ecxellent condition for its age. No chips, No cracks etc. 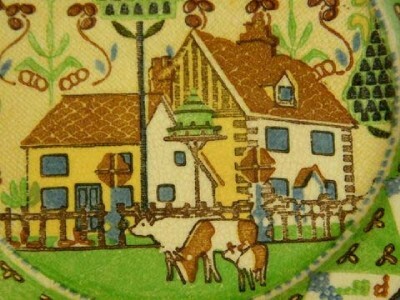 Size 26cm.This plate is illustrated in Suzzane Slesin “Kitchen Ceramics”, 1997 edition , p95. 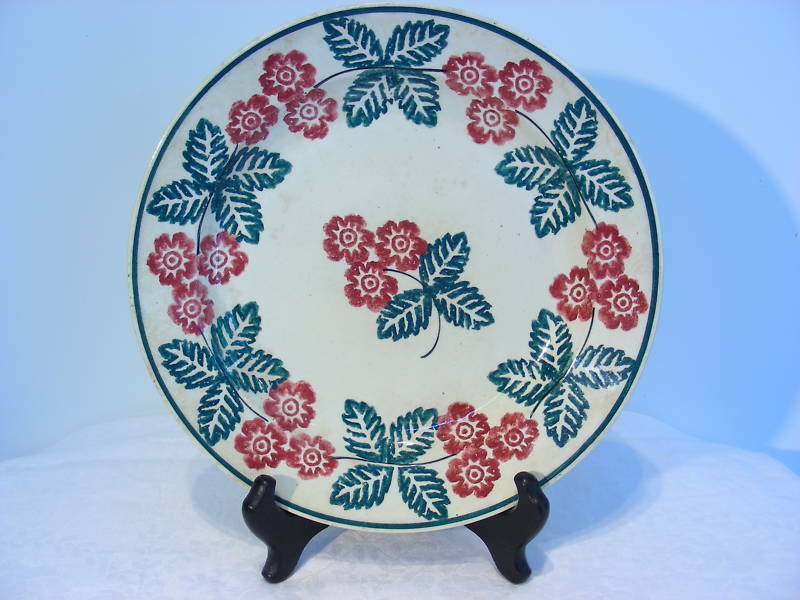 This beautiful pair of plates is hand painted and signed by Hague and it has no chips or cracks. A wonderful addition to you collection. Size:approx 23cm. Price is for pair. 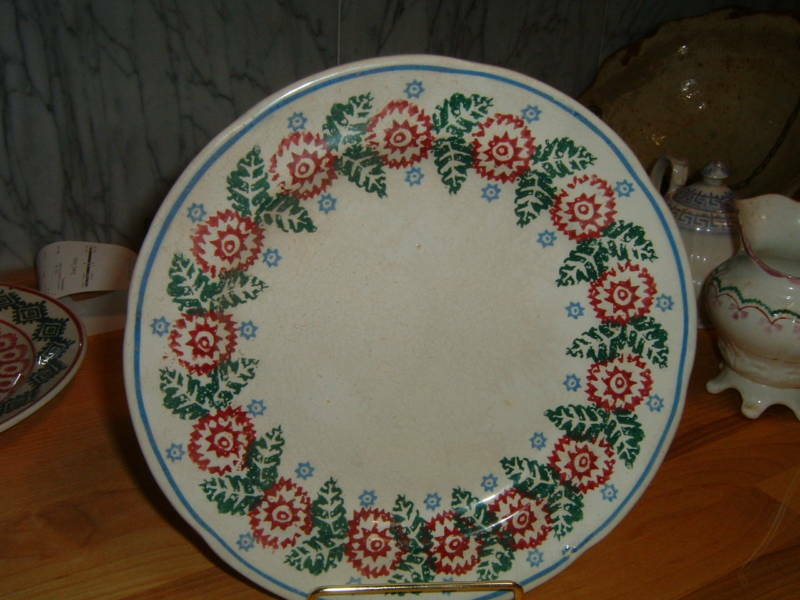 This beautiful pair of plates is hand painted and signed by Hague and it has no chips or cracks. A wonderful addition to you collection. Size:approx. 23cm.Price is for pair. 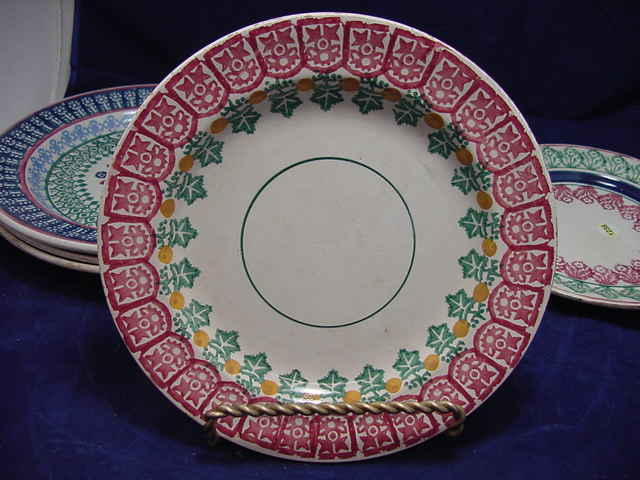 Six Copelands Grosvenor Plates - Circa 1930+Maroon Band With Floral & Exotic Bird Accents. 21cm In Diameter. No Chips Cracks Or Crazing. In Excellent Condition. The Price Is for all the Plates. 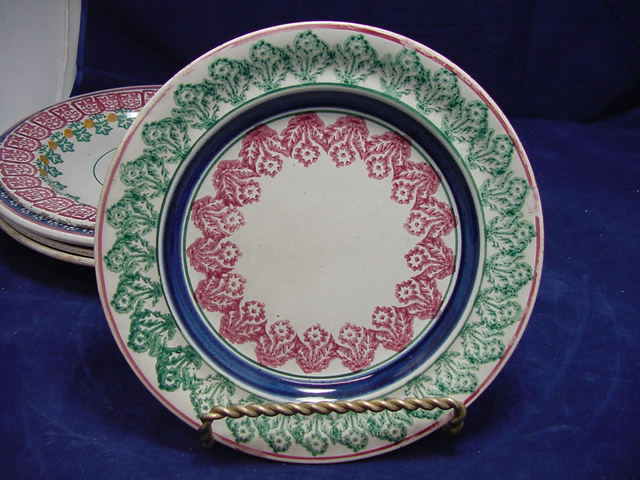 This is a nice floral pair of 19th century unmarked Victorian plates.The are hand painted by a gifted hand. Size: 22cm No cracks or chips. Price is for pair. Should you have any inquiries about any of the items listed above, please dont hesitate to contact us.